Bob Belden and Animation Live tonight in Madrid at Bogui Jazz Club! Pases: 21:30 y 22:30 h.
Del señor Bob Belden se podría decir que no forma parte exactamente del mainstream jazzístico, aunque su nombre se asocie a las reediciones históricas de Miles Davis y Herbie Hancock -entre muchos otros-, productor y erudito del jazz, es también una leyenda de la música que, insobornable, ha decidido caminar por otras vías sin perder sus fundamentos. tremenda banda que interpreta un sentido homenaje a Manhattan con Transparent Heart, publicado, claro, por una discográfica que no es como las otras, Rare Noise Records. Conservatori del Liceu, 20.30 h.
20 € Ant. / 25 € Taq. Señor Bob Belden: usted, ay, no forma parte exactamente del mainstream jazzístico. Díganos unas frases que hagan que el público pueda interesarse por usted. «Estamos tan arruinados como vosotros.” Caray. ¿Otra? «Era hacer este bolo o ir a la cárcel.” Ya ven: Bob Belden, un nombre detrás de las reediciones históricas de Miles Davis y Herbie Hancock -entre muchos otros-, productor y erudito del jazz, es también una leyenda de la música que, insobornable, ha decidido caminar por otras vías sin perder el humor y el sarcasmo. Su último proyecto es una reencarnación de su banda ANIMATION, cuatro jóvenes que junto con él – «somos una banda de verdad” – interpretan un sentido homenaje a Manhattan con Transparent Heart, un disco emocionante publicado, claro, por una discográfica que no es como las otras, Rare Noise Records. Conservatori del Liceu, 18.30 h.
and finally the 4 STAR review! Following on the heels of Animation’s 2010 RareNoiseRecords debut, Asiento, and 2011’s Agemo, saxophonist-composer-bandleader Bob Belden tells his own story on Transparent Heart. With his new Animation lineup consisting of young musicians hired from his alma mater, the University of North Texas (23-year-old keyboardist Roberto Verastegui, 24-year-old bassist Jacob Smith, 29-year-old trumpeter Pete Clagett and 20-year-old drummer Matt Young), Belden unveils a dark narrative as heard through the musical diary he has composed over 29 years of living in Manhattan. 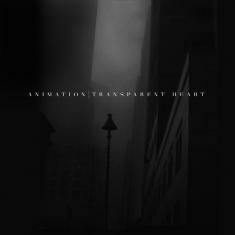 An imposing electronic noir masterwork, Transparent Heart travels from Belden’s initial awestruck impressions of New York City (“Terra Incognito”) to his feelings of foreboding (“Urbanoia”) and hope (“Cry in the Wind”) as a city dweller on Manhattan’s Upper West Side, to the pervasive angst of post-9/11 Manhattan (“Seven Towers,” “Provocatism”). He also addresses the mass exodus of artists from the city (“Vanishment”) and concludes his musical memoir with the clash of the social classes manifested in the Occupy Wall Street movement (“Occupy!”). Belden has concocted a powerful, provocative suite of music that is charged by the intensely driving, highly intuitive playing of his young energetic Animation band mates. The darkly propulsive title track echoes the hard-hitting production that Bill Laswell brought to Herbie Hancock’s 1983 hit single “Rock It.” To listen to Transparent Heart is to think about Manhattan’s self-reflective nature exemplified by extreme conflicts between physical/corporatist and social/humanist structures and the perpetual sense of energy that is created and dissipated illogically in light and shadow. The musicians on Transparent Heart are the most talented of their generation, performing complex operatic improvisations, sounds, and textures. They are serious musicians deep into the subtle and not-so-subtle nature of this music. That they are virtually unknown to the jazz public is a blessing, as you will hear them tabula rasa, with no conditions on what to expect. From this point on you will expect greatness from each one of them.